If you have ever found yourself in the waiting room of a doctor’s office, anxiety creeping into the dark corners of your brain, you know the uneasy feeling. The yearly physical. A pivotal moment for many that may or may not signal a lifestyle change. Depending on the prognosis, whether it is high blood pressure, out of control triglycerides or even a mild case of sleep apnea, the yearly physical becomes a benchmark for the rest of your days. The goal is to stay alive until next year. But how do you fill that year? Lisinopril, kale, chia, maybe a little seaweed? A mask that shoves oxygen into your sleeping lungs? Sounds like a whole year of misery, and it is probably a good bet that by next year, chia will have been discredited by the medical community. Things seem to work that way don’t they? One minute the cholesterol in eggs is bad and the next your doctor is recommending eating eggs for the “good” cholesterol, now, yeah they are bad for you again. It is difficult to know exactly how we should live our lives, but one thing is for certain, the best prescription for mental wellbeing is getting outside. Mornings in the mountains are one of the more glorious times to be alive in this world. The earth is waking up around you and it’s old, creaking bones signal a new day. It is always at moments like this that one should simply listen and observe, exhale and draw in the essence of the magnificence around you. Ideally you would be on the bank of a river, flowing from the peaks of Rocky Mountain National Park, the gin clear water cascading over a beaver dam and collecting in a pool. What once was a small meadow has been appropriated by beavers and their innate need to alter their environment to suit their needs. They are the engineers of the animal kingdom, cutting trees and placing them in specific orientations, designed to slow the flow of water and form a small pond. These forest oases become a gathering spot for all sorts of Rocky Mountain native creatures. Elk drink from the cool water, black bears amble through on their way to the next patch of wild raspberries, and mountain lions stalk mule deer from the cliffs above. One creature in particular thrives in these beaver ponds, Oncorhynchus clarkii, or cutthroat trout. Tying an imitation of a mayfly onto a 1x tippet in the midst of an epic hatch can be an experience that you will never forget. Hatches are magical events that happen when the mayfly (or various other arthropods) emerge from the water to infest the air with winged clouds of tasty trout treats. Hatches generally happen in the evening and are one of the truly magical experiences one can experience. Pearls of water drip off of your fly line as you back cast and plop the light cahill in front of the curious nose of a rising rainbow. 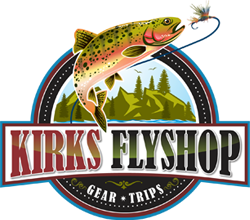 To experience the hatch, it is important to be in the right place at the right time and a professional guide from Kirks Flyshop is your best bet to get into the peak of the evening hatch. 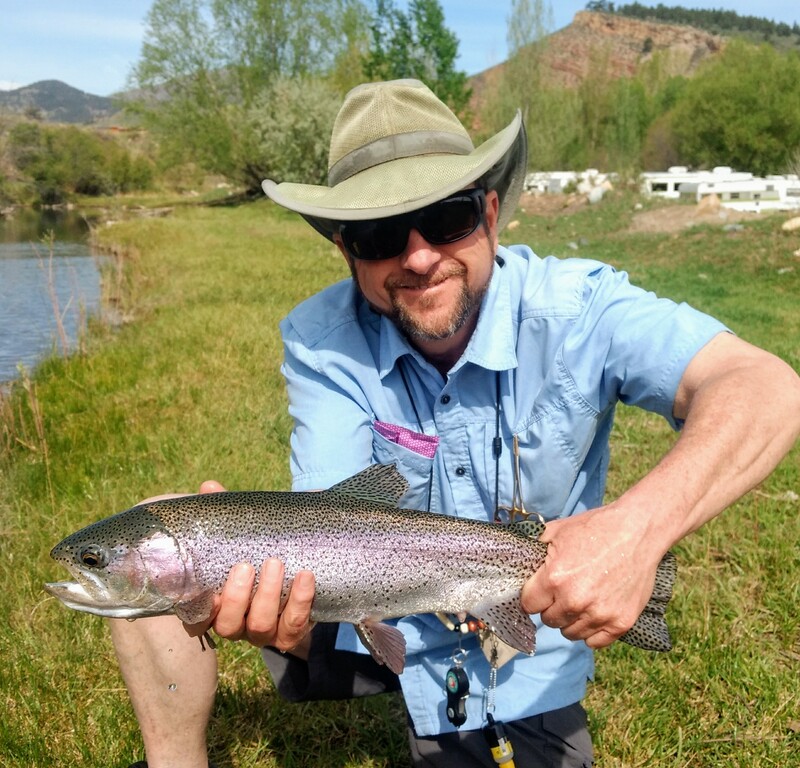 We offer an exclusive trip specifically to chase big rainbows, cutthroat and browns, you will not be disappointed and just might find a new way to reclaim your health, even if it is just mental. The guides at Kirks are industry veterans and experts at matching the hatch on some of the most exclusive waters in Colorado. Even if you don’t have the equipment, no problem, with all of our expeditions all of the gear is included. If you are ready to explore the life changing experience that is fly fishing, your ambassadors are only a phone call away. So ditch the kale, unplug the mask and grab a fly rod. We guarantee you will not soon forget it. Contact us today!